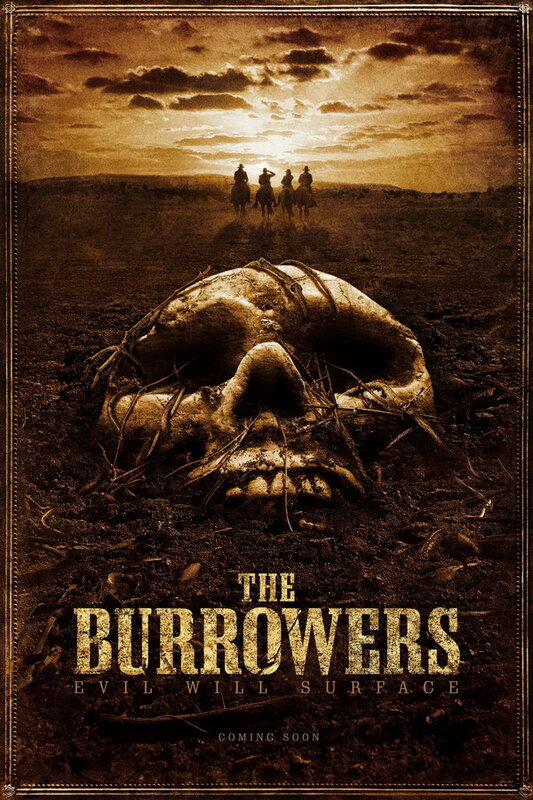 The Burrowers font here refers to the font used in the poster of The Burrowers, which is a western thriller movie based on an original short movie, Blood Red Earth. The font used for the movie title in the poster is probably Clarendon Extra Condensed Bold produced by Wooden Type Fonts. You can view more details about it here. In addition to The Burrowers, Clarendon typeface is also used in the following logos, movie posters or album covers etc., including: Vs., El País, Family Feud, Sony, Goldfinger (Film), PGA Tour, Abbott, How to Dismantle an Atomic Bomb, Lucasfilm Logo, Buck, Catching Hell, The Karate Kid, Searching for Sugar Man, Crazy Heart, Finlandia Logo.